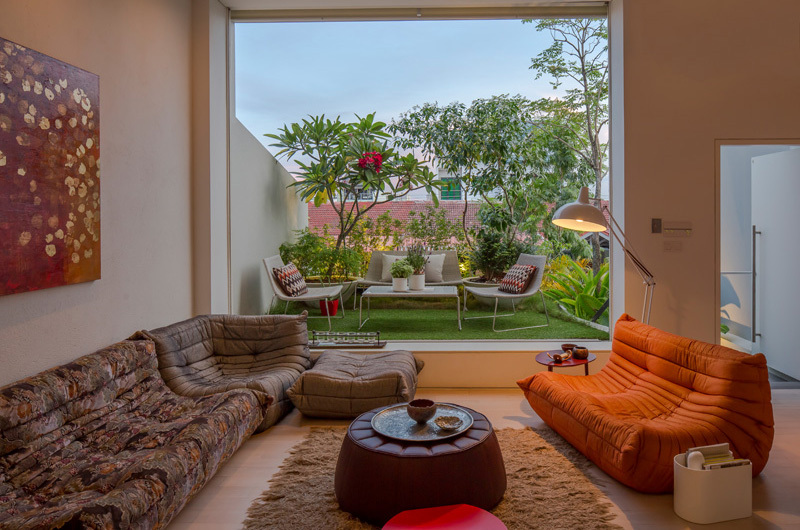 You would love the varying spaces in the modern home with a stunning garden! We always think of how many levels and open spaces of our own house would have. We believe that these levels will provide more unique spaces that will let the members of the family enjoy their favorite corners. Architects and designers made their best effort in order to achieve the goals and demands of their clients as they always consider sustainability and modern architecture. Different levels and spaces would also need geometric forms and shapes of the house building. Extraordinary areas of the house both in the interiors and exteriors always depend on the style and design of the architects. 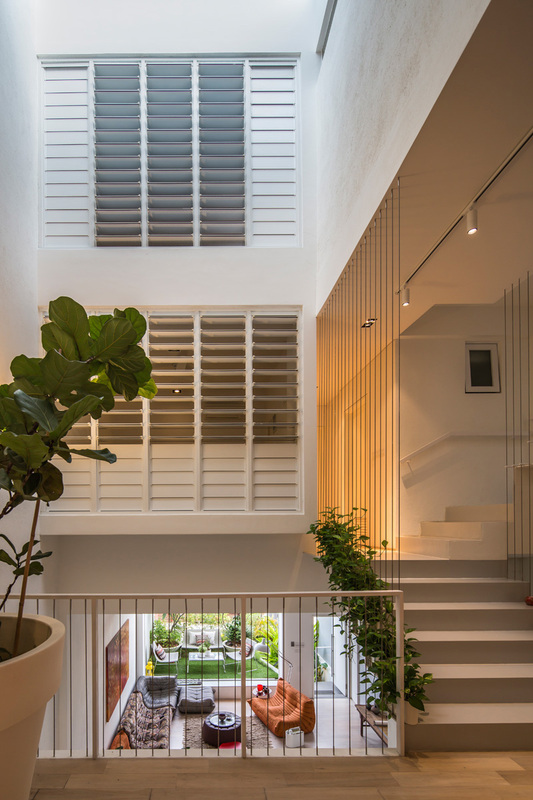 Today we will explore the amazing and extraordinary spaces of a house set in Singapore. This multi-storey house shows the importance of different levels in exposing the open spaces set for the needs of the homeowners. In fact, the architects manage to create a sensation of surprising openness and limitless space within a lush of green environment. But they still ensure the comfort and accommodating functions of the house. 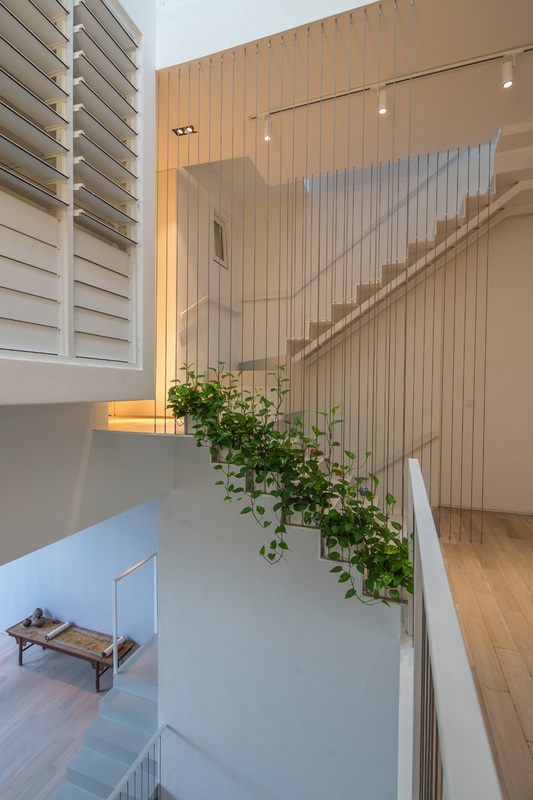 While it is spotted in the narrow streets and densely packed rows of terrace houses of Opera Estate, it is still difficult to imagine that such an open and well-ventilated house could be achieved. Let us take a look at how the clever designer achieved its goals despite of the location type through the images below. Unique feature: This house project uniquely exposed the different tiered levels where it also reveals the different open spaces creating accessible eco-friendly areas. The limited location is not a hindrance for the architects to reveal the astonishing open spaces shown in different levels. 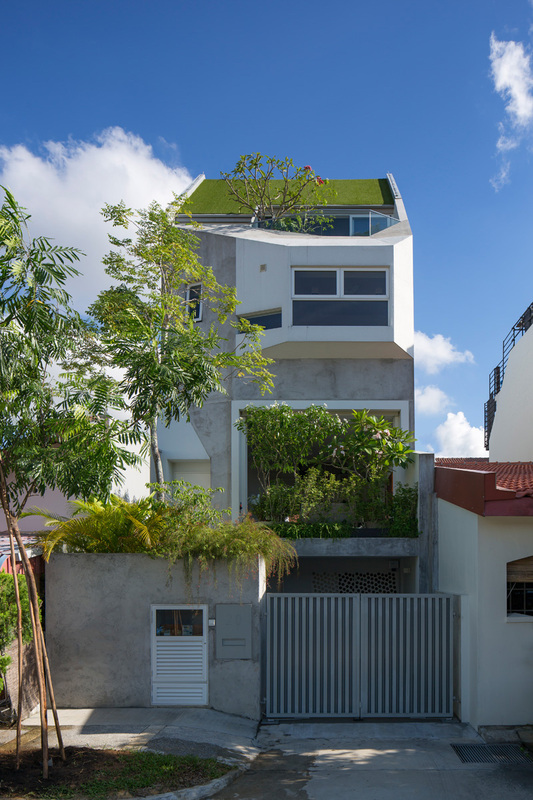 See how this geometric form of the building complements with the green surroundings in the location. 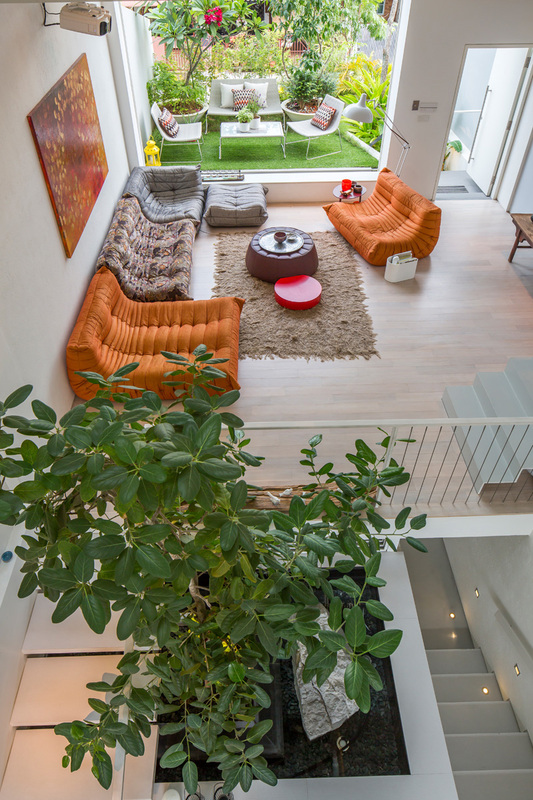 Take a look at the interior of this house as the designer maintains the availability of the green plants here. The color of the walls and floors complement with each other as it provides a sense of comfort and serenity. Here’s the living space where you can see how the interior designer mix and match the color and texture of the furniture as well as the accessories here. From the upper level, you can see here the layout of the living space where the rough texture of sofa and the smooth texture of the walls create a balance. This also displays a very comfortable space in the house. Here’s the dining space where you can see the unique table that made this space so elegant and outstanding, right? 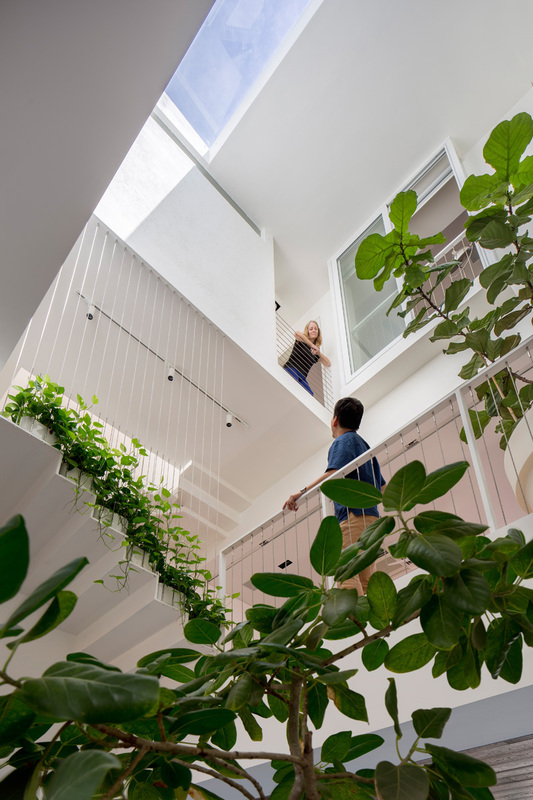 See how the skylight effectively provides the natural light in the entire house where the homeowner can still experience the beauty of nature even in the interior. See the lines and patterns in the walls and floors of this house where it shows a well-organized and comfortable area. Different levels of the house exposes the different functions that the homeowner would love to share to his friends. The homeowner still feels the presence of the natural light in every parts of the house because of the skylight designed in the building. 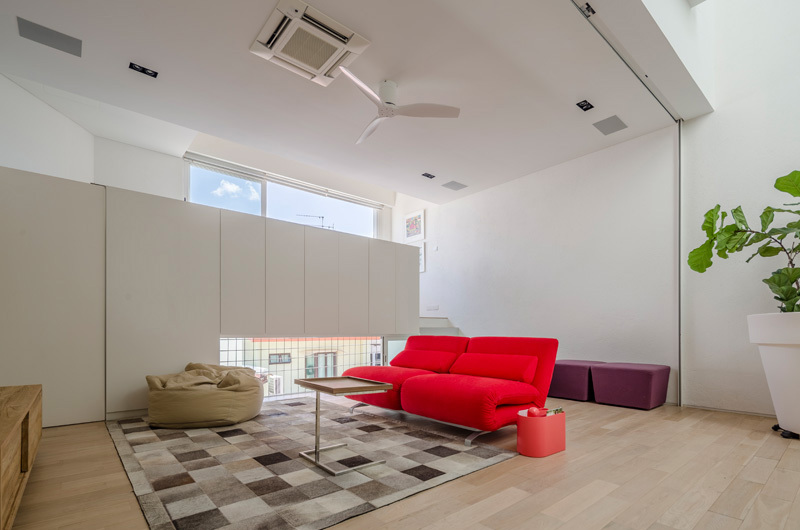 The red sofa breaks the plainness of the area where white colored walls and ceilings harmonized with the patterned floors and carpet as well. 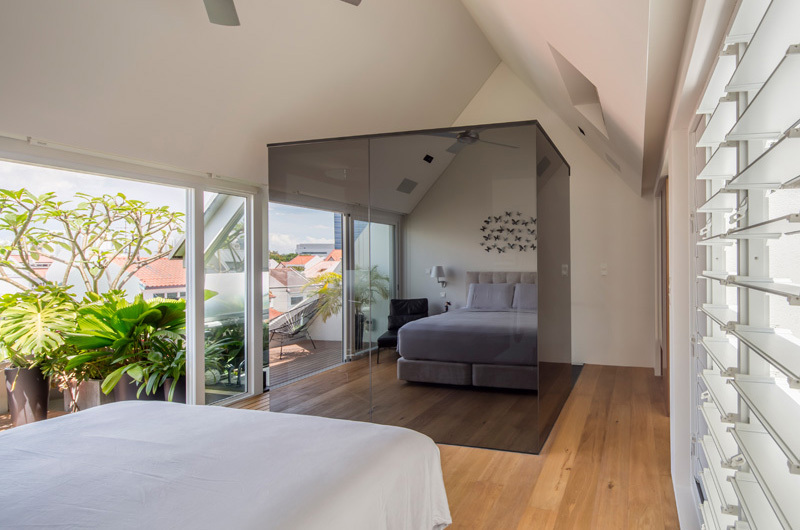 Here’s the bedroom and its open layout that gives the homeowner the advantage of enjoying nature and the sustainable experience even without electricity. Spotted here is the garden set in the exterior of the building to allow the homeowner to feel the natural beauty of the surroundings. 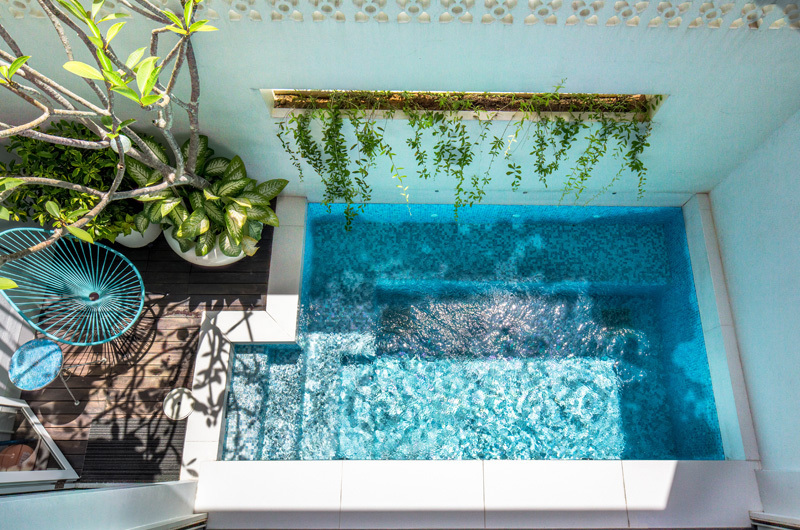 A small swimming pool is nestled in front of a boundary wall which is embedded with plants and ventilation blocks. 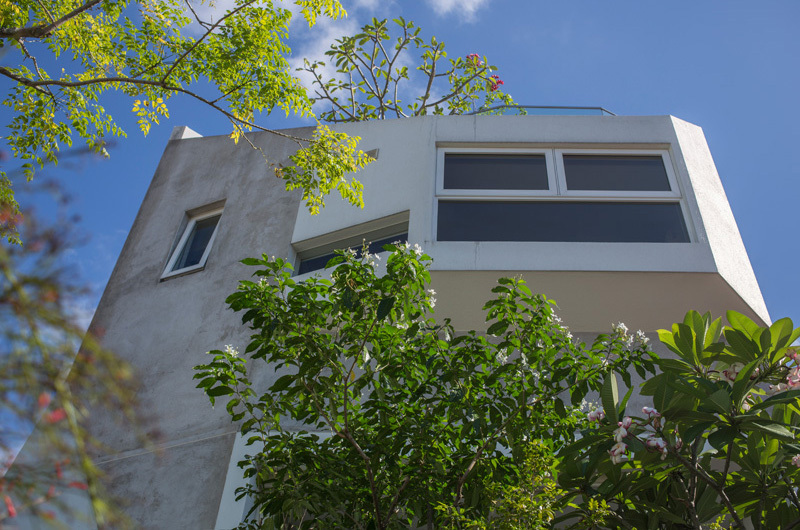 From here you can see the importance of the geometric shape of the house building and it jives perfectly with the color of the sky and the leaves in the trees. Here’s the front space of the house where you can see the open gate as if encouraging you to experience the secrets and amazing spaces in the interior. 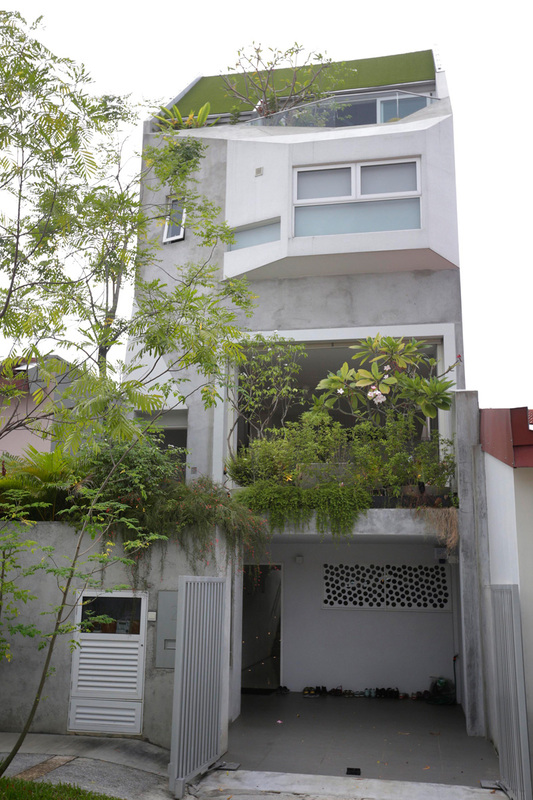 Definitely we have witnessed how AD Lab successfully implement the modern architecture concept and design in this house. 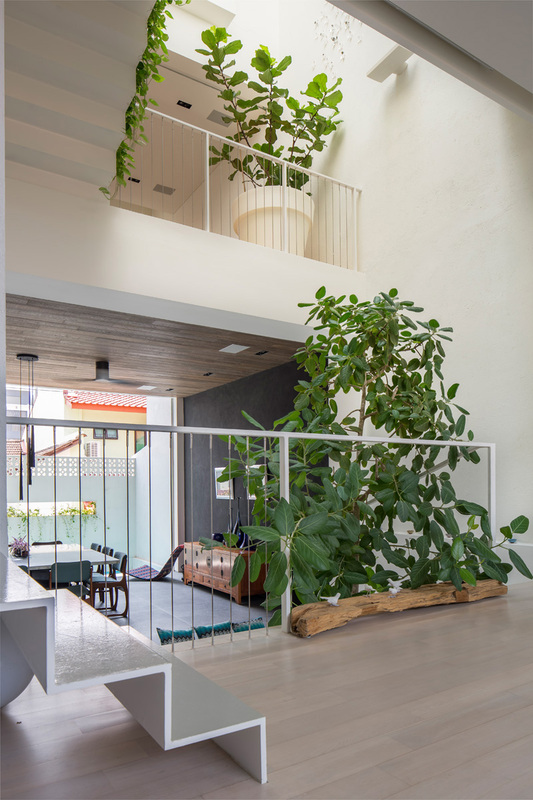 Green environment is highlighted in every levels of the house. The designer also achieve the sense of spaciousness as the designers have tucked all the main service areas of the home into a part basement which leaves the ground floor as a vast space with a central courtyard. I personally like the two external gardens at the front and back of the house as well as the skylight that is present here.